To order your made to measure Ravenna Privacy Window Film panel, simply enter the exact sizes you require in centimetres and quantity required into the boxes. The privacy window film is available in two options. Option 1, White Pattern on Frost: The pattern is printed in white onto our best selling opal frosted window film. Option 2, Clear Pattern on Frost: The frosted effect is printed onto clear window film and the patterned area is left clear. 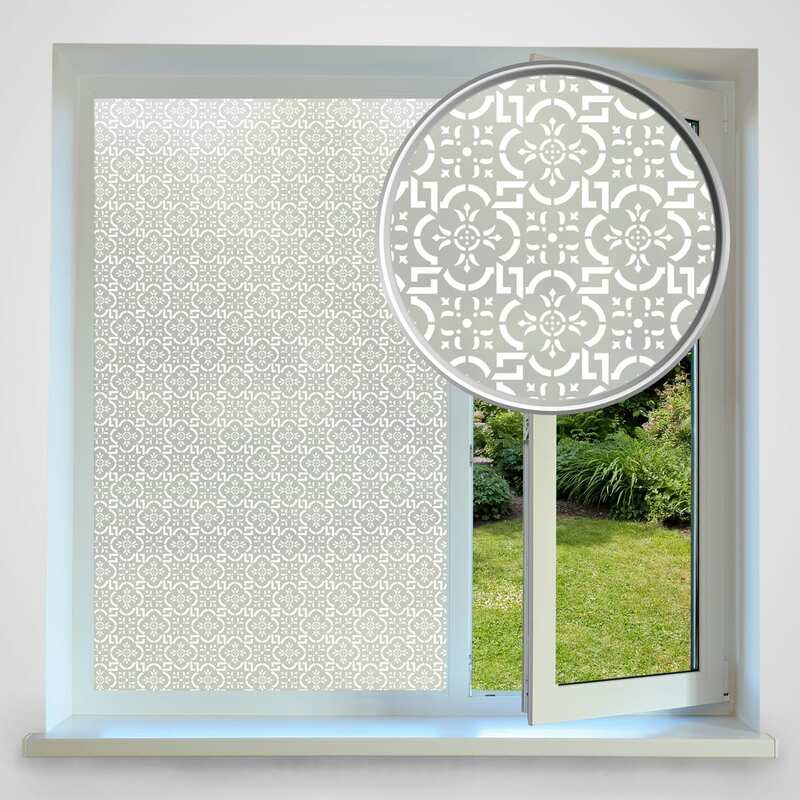 Once fitted, our collection of privacy frosted window films will gives the appearance of frosted glass with a stunning all over pattern. The film gives excellent privacy whilst still allowing 80% of light through. This film is an easy to install self-adhesive film that’s applied directly to any smooth glass surface using soapy water. Your order is supplied with a free plastic squeegee to help with installation and easy to follow fitting instructions. 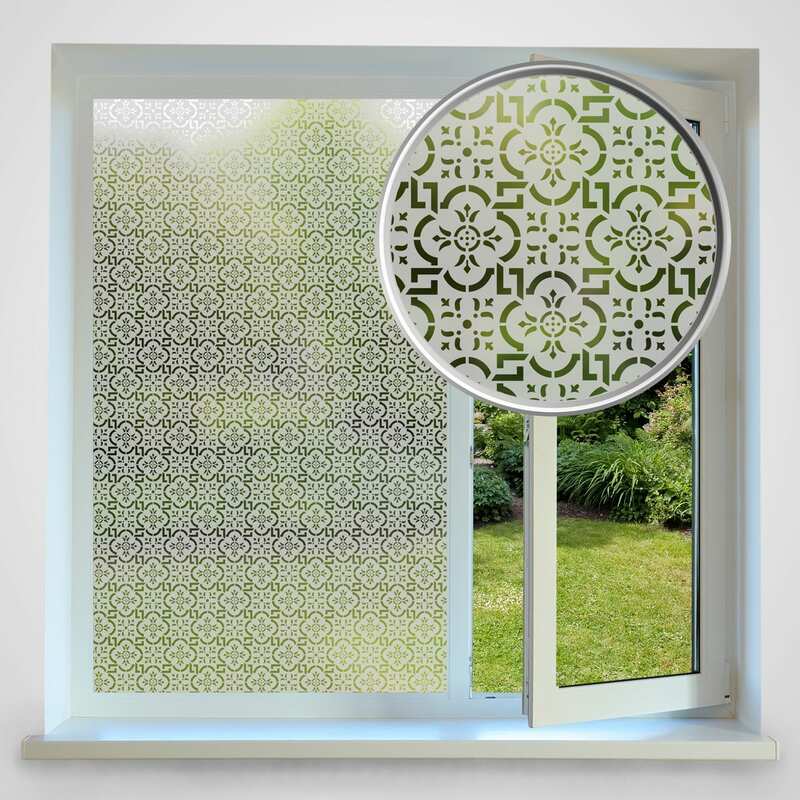 Please Note: If you choose a ‘Clear Pattern on Frost’, the frosted effect is printed onto clear window film, and may not match our other frosted films you may have purchased.